That beast of a storm moved off to the east overnight while the science party was getting better acquainted in a Port Elizabeth hotspot. 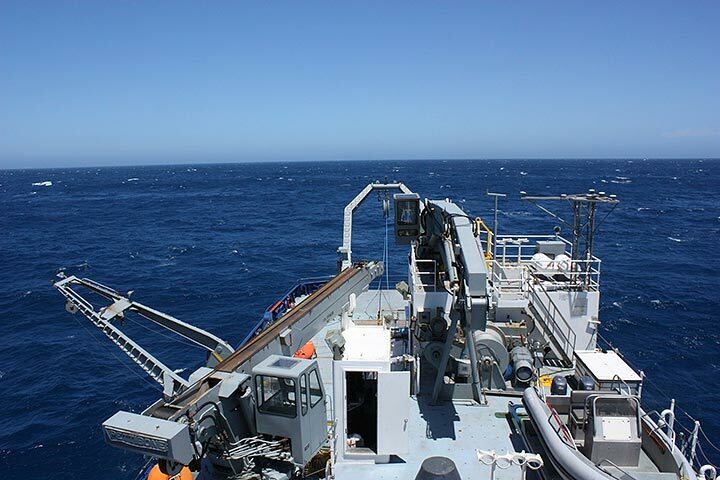 We got underway at 0630, and now, mid-day, we’re steaming north northeast close aboard the South African coast in flat seas and bright sun. Robert, one of the four mooring techs from the University of Miami, tells me we’ll be back on station in two hours. 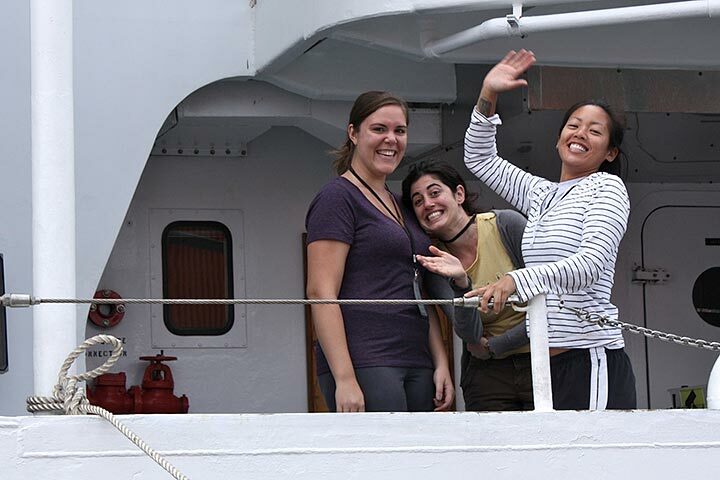 So let’s take the opportunity before the action starts to situate the Agulhas Current in its oceanic context. No ocean current exists in isolation. The Agulhas is but one arc in a circular system of currents wheeling around the southern portion of the Indian Ocean (the northern portion of the ocean is different, its circulation determined by the seasonal monsoons). Let’s enter the circle, arbitrarily, along the northern arc, remembering that oceanography requires imagination to cast our minds out over vast, empty distances that, in description, can be crossed in a single sentence. There in the north, the southeast trade winds, a permanent belt of winds that girdle the entire globe, propagate a massive, west-setting flow of water called the South Equatorial Current (SEC) that crosses the entire Indian Ocean—until it runs into the big island of Madagascar. As if it were a rock in a mountain stream, the big island disturbs and separates the flow, some portion of which passes over the top of the obstruction to flow south through the Mozambique Channel and some to the south. 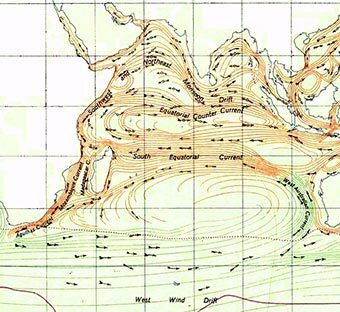 But then the once-disturbed flow forms up along the continental boundary to “become” the Agulhas Current. It then set southward at high speed past Lisa’s study line lying perpendicular to the flow. 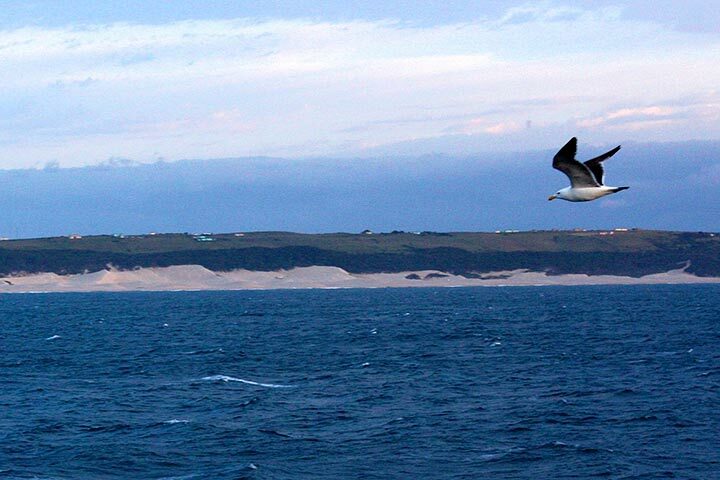 However, as the Agulhas presses on, the “western boundary” disappears at the latitude of Cape Town. There, as if surprised to find itself unsheltered by land, the current performs a trick very rare in the world-ocean circulation. It takes a sharp left turn—known in technical terms as the Agulhas Retroflection. Now as the current flows back eastward, toward Australia, it “becomes” the Agulhas Return Current, re-crossing the Indian Ocean—until it runs into the west coast of Australia. Then, mirroring the movement on the other side of the ocean, the current is directed northward until it falls again under the influence of the southeast trade winds, becoming the South Equatorial Current. And so the circle is complete. Admittedly, this is pretty coarse-grained oceanography, merely descriptive of the broad circulatory pattern, without accommodating variation or the ramifications for climate inherent in the system, which we’ll develop as the cruise proceeds. But before we leave it at that, there is one other aspect of the Greater Agulhas System worth introducing at this point—the so-called Agulhas leakage. When the current retroflects so sharply south of the continent, it throws off great eddies of water 200-300 kilometers in diameter spinning in an anti-clockwise direction. These wheel their way around the Cape of Good Hope delivering Indian Ocean water into the South Atlantic, thus linking the two oceans. And that’s the subtext running through this and all such expeditions, the interconnectedness of all oceans into one world ocean and it connected to the atmosphere in a grand and elegant super system. It’s a beautiful thing when you think about it.